In 1937, Irving P. Lyon published a series of six articles about Thomas Dennis, joiner of Ipswich, analyzing numerous articles of furniture and family documents. 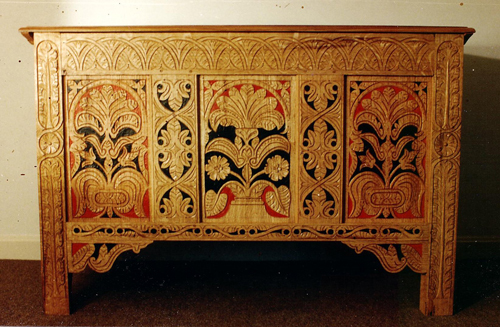 The furniture of Thomas Dennis took on the status of historic treasure, and over time more pieces were attributed to him than he could have produced in his lifetime. 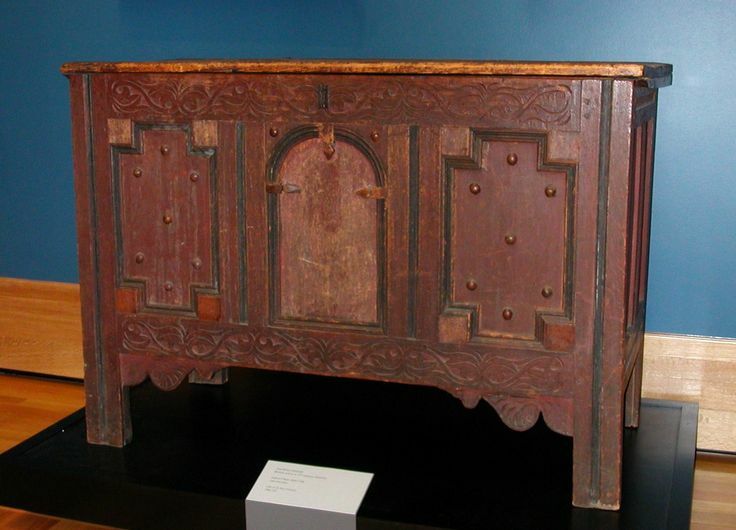 In 1960, Helen Park published two articles reexamining the Dennis phenomenon, and determined that some of the items attributed to Dennis by Lyon represented “the whole development of furniture style in Essex County in the last third of the Seventeenth Century, rather than being the production of a single man. 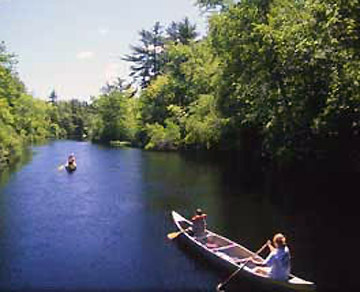 Research by Benno Forman and Robert Trent after 1968 showed that several dozen joiners and cabinetmakers were working during that period in the North Shore area, casting some doubt on the attribution of individual pieces to Thomas Dennis. 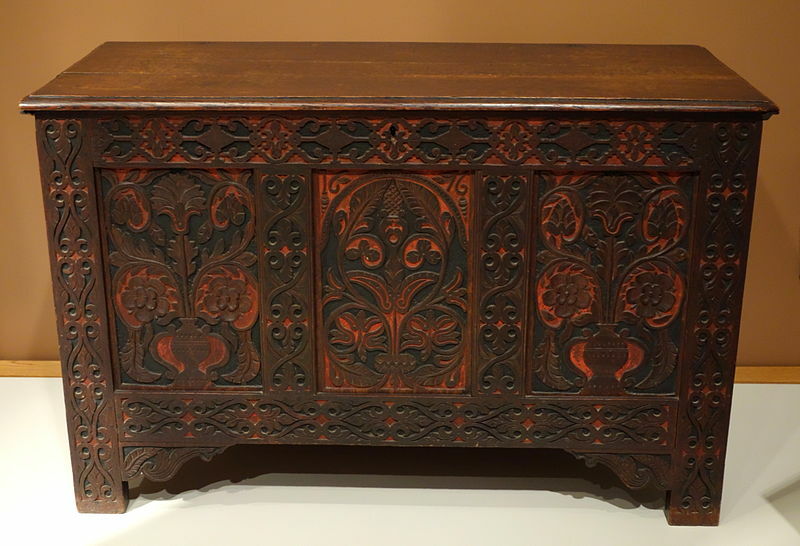 Nevertheless, Thomas Dennis’ prolific output of joined chests with floral and scrolling carvings was truly extraordinary, along with the pieces produced by Grace Dennis’ first husband, William Searle. The Thomas Dennis house at 7 County Street dates to two periods. In 1663 Thomas Dennis built the rear section which has a rough-hewn frame and beveled summer beam indicating it to likely have been a one over one “half house.” The 5-bay front section of the house dates to the 1750’s. and has a more balanced Georgian floor plan typical of the mid 1700’s. 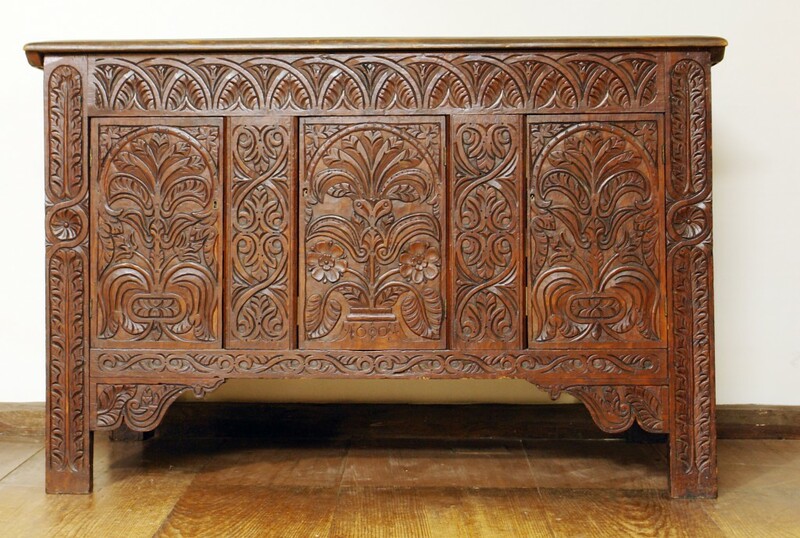 Thomas Dennis (1638–1706), came from Devonshire, England, where he learned from a tradition of flourished carving. Dennis himself was a master carver, and his work is found at other nearby homes, including the Dennis – Dodge House at the corner of Summer and County Street. His work is shown in the Metropolitan Museum of Art in New York City, the Boston Museum of Fine Arts, the Concord Antiquarian Society and the Robert Hull Fleming Museum at the University of Vermont. It is now believed that Searle was Dennis’ contemporary, not his teacher. It appears that Dennis had more money than Searle in those days – but it’s still odd that he bought the house in Ipswich, even though he didn’t move there at that time. For those who don’t know the history, Searle and Dennis both trained as joiners in Devon; Searle was from Ottery St. Mary; Dennis’ birthplace has not yet been determined. Searle married Grace Cole and they immigrated first to Boston and then to Ipswich. They had 3 children, but Searle died in 1667 at age 33. Dennis was the executor of his estate and after Searle’s death he moved to Ipswich, took over his joinery trade (including tools, which makes it even harder to distinguish between their work) – and a year later he married Searle’s widow, Grace. Searle and Dennis are considered to be the foremost 17th century joiners in the English colonies of America – quite a distinction for the town of Ipswich. 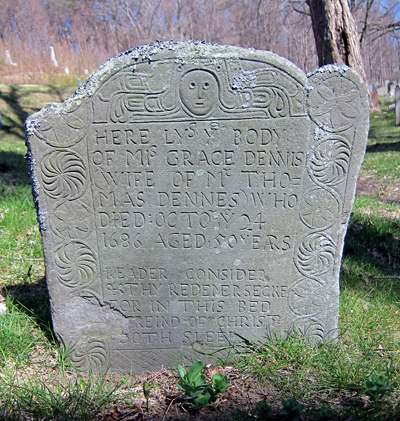 Thomas Dennis’ second wife, Sarah Dennis, remarried after he died. Her next husband, Captain John How, was the brother-in-law of Elizabeth How, who was accused and executed during the Salem Witch Trials. He was also related by marriage to Rebecca Towne Nurse and Mary Towne Easty (Estey), both of whom were executed as witches, and their sister Sarah Towne Cloyes (Cloyce), who was accused but spared. 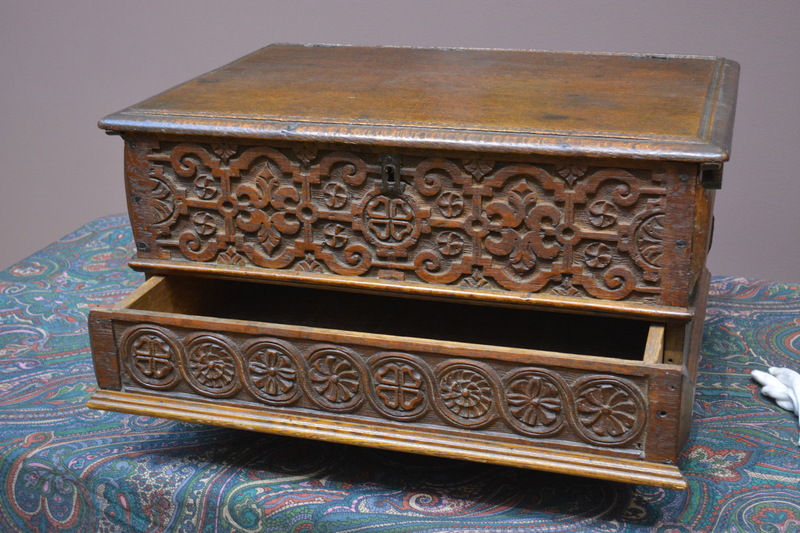 In The Artisan of Ipswich, Robert Tarule, historian and accomplished craftsman, brilliantly recreates Dennis’s world in recounting how he created a single oak chest. 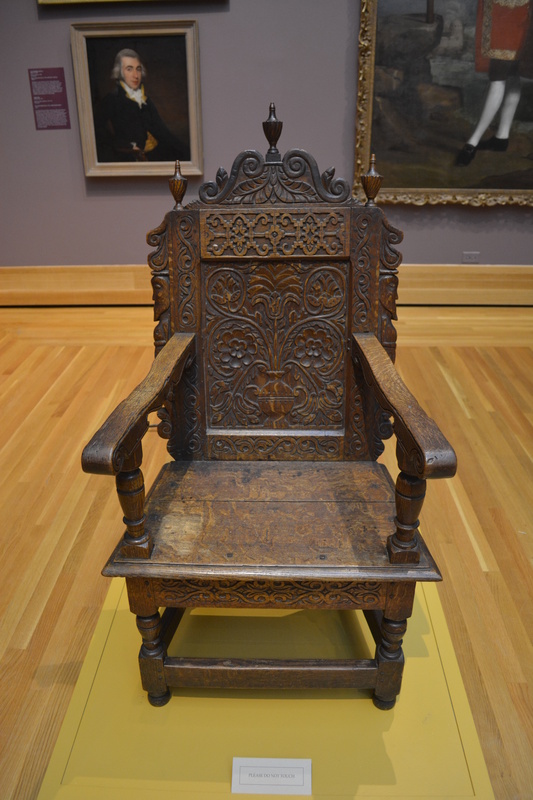 Writing as a woodworker himself, Tarule vividly portrays Dennis walking through the woods looking for the right trees; sawing and splitting the wood on site; and working in his shop on the chest—planing, joining, and carving. 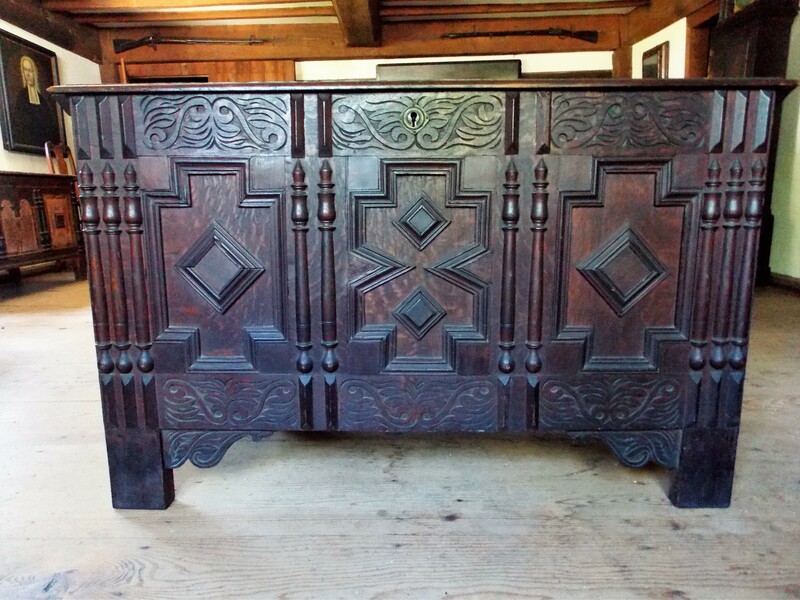 Dennis inherited a knowledge of wood and woodworking that dated back centuries before he was born, and Tarule traces this tradition from Old World to New. He also depicts the natural and social landscape in which Dennis operated, from the sights, sounds, and smells of colonial Ipswich and its surrounding countryside to the laws that governed his use of trees and his network of personal and professional relationships. Thomas Dennis embodies a world that had begun to disappear even during his lifetime, one that today may seem unimaginably distant. Imaginatively conceived and elegantly executed, The Artisan of Ipswich gives readers a tangible understanding of that distant past. “The Oak Furniture of Ipswich, Massachusetts,” by Irving P. Lyon, Antiques in 1937–1938. “Dennis or a Lesser Light?” by Homer Eaton Keyes, Antiques, December 1938.
thanks for sending this to me, it is very interesting.